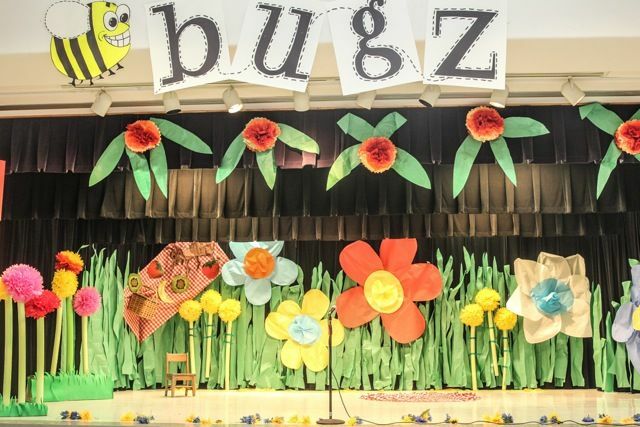 We are all very proud of our Boon Elementary First Graders and their production of Bugz earlier this May. Many of you have been asking for some video and I have some. Here is something you need to understand — I am not a professional video guy. However, I was able to capture some amateur video of the performance. I have to warn you that the quality is pretty poor. I could definitely do this better if I had another chance (now that I have done it once) — but I was not set up properly to get multi-camera video and my audio is really bad. Basically, I experienced technical difficulties beyond my control. Bottom line — if you are looking for professional-grade memories, you are looking in the wrong place! I put together a small 1-minute studio-style trailer for the show using iMovie. Here is the trailer (embedded below). It is hosted on YouTube — but don’t worry. The web address (URL) of the trailer is “unlisted”. Only people that find this page can find the video. In fact, even this page is marked “no index” to keep Google from listing it. If any of that “bugz” you, let me know. If you would like to download a copy of this trailer, you can right click on this link (enjoy). I also was able to piece together the clips that I have into a full version of the show. Note that, as far as I know, Boon does not hold the rights to distribute this work (as the Bugz play is copyright) — this means that we don’t have the right to distribute and reproduce it. So, don’t sell the video on eBay. Here is the full length video on YouTube, which you can access directly on YouTube here. I rendered three versions of the movie — large (HD), medium, and small. You can download them by right-clicking on the links below. Note that these files are pretty big as files go — so be patient. Also, you can download the files from Dropbox directly by clicking on this dropbox link. I hope you enjoy the videos. Love it! You rock! Thank you so much for putting this together! Thanks Kimmi. Glad you liked it.